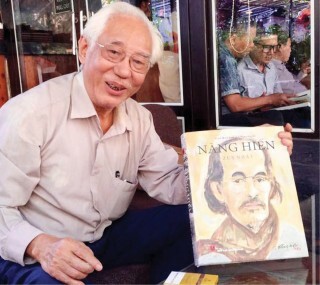 » Exhibition of "Hue, where quintessential antiquities converge"
On April 26, Hue Museum of Culture opened the gallery of "Thuan Hoa - Phu Xuan – Hue, from an ancient town to a modern city." The gallery has recently been revised and improved to be opened frequently by the museum. The display gives an overview of the formation and development of Hue city. 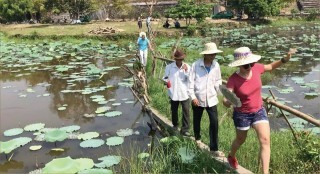 In particular, it focuses on the city’s history of formation and development through five stages: Champa, the capital of the Nguyen Lords, the imperial capital of the Tay Son Dynasty and the Nguyen Dynasty, and the urbanization period, with many valuable, unique documents and artifacts, such as stone pestles, Cham pottery, stone steles, etc. Thuan Hoa - Phu Xuan - Hue used to be the political center of the country, where cultural values ​​of the nation converge and crystallize. This land is characterized by the cultural exchanges of Viet - Cham, the capital of the Nguyen Lords, the imperial capital of the Tay Son Dynasty and the Nguyen Dynasty. 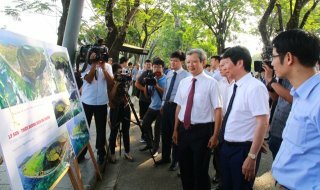 Since 1945, the process of urbanization in Hue has ceaselessly taken place. The administrative boundaries and appearance of Hue city have also changed. So far, Hue has developed and integrated with the region and the world. Documents, images and artifacts displayed at the gallery demonstrate this development process.